A rebuttal by nature is aimed at defending something precious when it is under attack, at least so is my intention here. The culture of a nation, especially that of India’s, is founded on a deeper truth which no science, however advanced it may seem, can fathom or even remotely understand, the truth of which we ourselves know nothing either. It is a lack of understanding or a lack of will to understand that has resulted in this complete lack of a warrior temper in us; this crude, selfish, courageless temper of a modern intellectual who cares a pittance for his own secret past and its immense glory in the Spirit is the bane of all our ills and misfortunes. We have failed to defend our temples from destruction and desecration, as we are failing now to defend our cultural symbols from the modern warfare of the intellectual lot. We are afraid of a few barks of the educated philistines who are hell-bent on destroying the precious symbols and practices of our faith. As a race, we are not united in spirit or unified in common purpose. One of our cultural practices, which supersedes the scrutiny of puerile science, has been questioned of late by the intellectual fraternity which largely remains silent about such practices in other faiths, predominantly because of fear of repercussion, but also because it serves its agenda of weakening the foundational structure of a Nation still in her quiescence and unspiritual inertia. That we have to respond to these provocations and devious designs of the intellectual brotherhood is often seen as a weakness or lack of moral and spiritual restraint, and worse still, as unqualified and unjustified aggression of a few stupid hyper nationalists towards things qualified and justified of their presence amongst us. India is a nation of the Spirit high and divine, and her vast, ageless civilisation and social structure has been built on an inner foundation of a secret Shakti, the impeller of the Kshatriya temper in all of us, the secret Deity of whom we are forms and forces in the physical. Is this viewpoint an impractical aberration of the mean idol worshippers that we are? It may be implied to mean, from the average intellectual viewpoint, that we are still living in a senseless, impractical mindset of a philistine whose history and social conduct could not be verified by scientific knowledge, and because it is unverifiable by science therefore it must be abandoned and its practices discouraged and even some of them banned for the greater good of mankind! A self-existent Knowledge in its nature and in the manifestation of its complexity is inscrutable to public scrutiny and will not reveal its secrets to the scientific temper, and all scientific knowledge gathered so far about the Aryan practices has been deviously pusillanimous and ill-intentioned or at best myopic in its inferences. 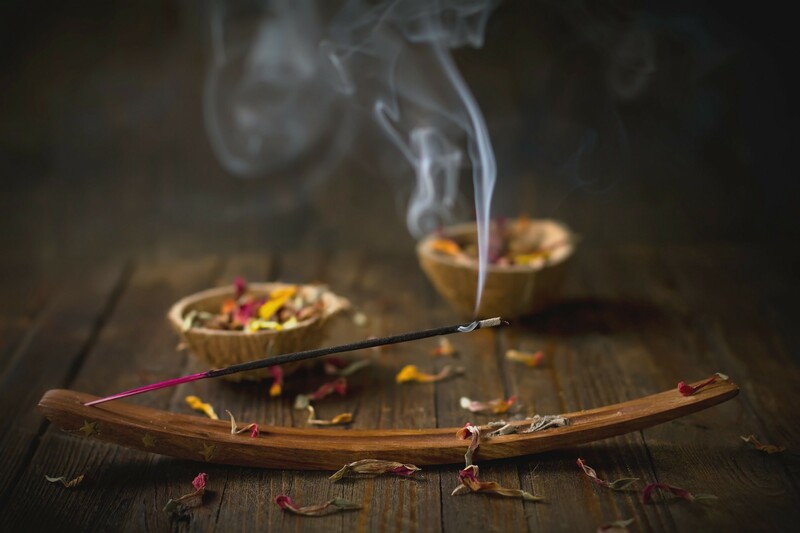 For example, in the recent times, the burning of incense sticks has been shown to contribute to atmospheric pollution and a few articles have appeared in some online portals, largely questioning the need for the practice among both educated and uneducated Hindus. There is a symbolism here in this recondite practice which science or the surface intelligence of man can hardly understand. It is symbolic of a rising aspiration of the individual into the higher heavens of the luminous Godhead, a slow burning aspiration of Agni residing in our hearts; as he rises into the heavens, he dwarfs himself until he entirely disappears, and the next morning, as Surya commences the path of his illumination, Agni rises higher again and dwarfs himself and disappears into the human clay. This is repeated until Agni and Surya become one and the same in the heavens above and the earth below. It is also symbolic of the sacrificial fire of aspiration of the pure heart, which while rising up into the nature of the Supreme Purusha emits a fragrance of its soul of devotion. The meaning of this sacrifice is a two-fold knowledge of Brahman both in the higher and lower ranges of the consciousness with a centre of divine Siddhi in the heart. There is a point at which the aspiring heart meets the illimitable Light; it is a state of illumined devotion where knowledge takes a back-seat but very much there in the fusion of all successive eternal time-movements and beyond. This alone justifies the great and meaningful Hindu ritual. I do not think that it is a mere symbolism; for us, it is a natural process of the Aryan Spirit, for nothing of mere theory impresses him but only the infinite measure of self-existent occult and symbolic practices. For the natural Hindu temper, everything is symbolic of Krishna and his measureless love, for he sees the Lord in himself and in everything, and all his practices confirm to this constant experience of a self-revealed Godhead, though outwards he may still be ignorant and struggling. How can science hope to measure this higher experience or if it were to try and disprove at all, on what basis and with what possible data can it hope to achieve it than through the meagre bone available to it in the form of puerile external data? Science cannot even understand the precise nature of a molten lava and its most natural form, otherwise it could have predicted volcanic eruptions around the world for the next thousand years or more! All its seismic data makes sense until the mother earth quakes and absorbs all its data and its brilliant inventions into her burning pits! As to incense sticks causing pollution, I don’t give a hoot! Do I feel the need to write at length to explain my viewpoint about our cherished practices to the scientific community and to the morally-bankrupt-intellectual-class? The answer is a No. They are not prepared either to recognise or receive the truth, neither engaging with them to placate them a noble pursuit. Their intentions here are, as always were, wrong and deliberately misplaced so as to oppose a great culture and a great civilisation and its inevitable march into a luminous divine future. The right of the individual vested in the Constitution towards practising his faith is only a surface promise without much understanding of how his cherished spiritual practises have evolved over time into robust spiritual symbols or how they shaped up his inner and outer life towards shaping up a great civilisation built on the foundation of an inner knowledge gained from these forms of worship and adoration of the Divine. Hinduism lays emphasis on the idea that the individual is an expression of the Universal and the Transcendent in as much it lays emphasis on the forms of his cherished practices as derivations of a collective universal and transcendent principle of a hidden Truth here in this world. In a word, every Hindu ritual has a meaning which far exceeds these human laws construed on the foundation of a limited human reason and half-conscious empathy of a collective ignorance. The misfortune of the Hindu lobby is that it is totally toothless in its defence, and its political setup caters more to the brute demands of a few influential voices than to the sincere cries of a larger civilisation in distress. If it caters to our cause at all, it is only so much as it amplifies its immediate political agenda to consolidate itself as the only voice of an oppressed majority. So it is not in these men or in their political systems that we must depend or repose our faith, but drive them by a greater strength of our collective will towards doing the right thing and in the right way so that they could be used for our purposes. All political systems are subservient to the collective will of a conscious humanity and must only serve its common purpose. The pragmatic value of a civilisation such as ours is ingrained in its various cultural practices, and to attempt to divorce them from it or distort them will not succeed in the least, though for a time being some of its external forms might suffer a small setback. We have only to keep our heads high in the hope and knowledge that the impending spiritual change is only inevitable and will come into our midst at the appointed hour and dissolve for us these oppositions and destroy their stray masters. There is also an outward symbolism of the present material age, governed largely by human reason backed by scientific half-knowledge, in which these rituals have lost their inner meaning and retain only a distant semblance of the original significance, and it is our duty to inculcate this almost lost temper of the Aryan race into the sense and thinking and nature of the present humanity and so impel men towards a greater defence of our ancient culture and its numerous practices.